“As long as they’re not noisy I don’t,” replied Mr Dean, who had no objection to his Waubra neighbours—most of them struggling farmers—earning tens of thousands of dollars a year leasing their pastures to Spanish-based renewable energy company Acciona. Now the couple have packed up and moved permanently to nearby Ballarat. 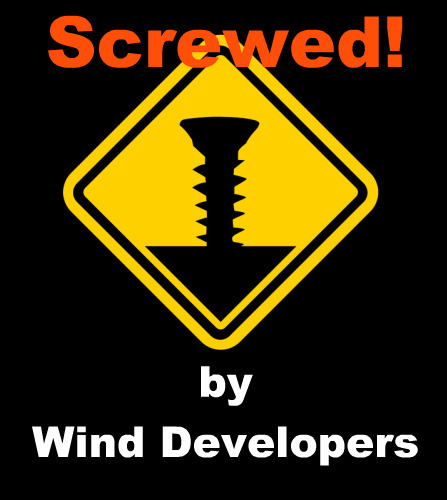 They want the energy companies and policy-makers to stop and consider the possible health effects of wind farms before meandering lines of turbines start popping up across the countryside to meet the government’s 2020 renewable energy target endorsed by the Senate this week. In Waubra alone, a further 60 turbines are flagged for instalment. US doctor Nina Pierpont has coined the term “wind-turbine syndrome” for a raft of symptoms, including insomnia, headaches, dizziness, nausea and depression, experienced by people living in close proximity to wind farms. The problems are said to be caused by constant exposure to low-frequency vibrations and inaudible sound pressure, as well as the constant flicker of light generated by the spinning blades. “We anticipated that there would be about 15 turbines around us, and that we could plant trees to screen them. All of the farmers around us wanted the wind farm and we didn’t want to argue,” she said. Now, as Ms Godfrey prepares food for delivery from her kitchen inside her dream home, she looks out on 65 turbines that surround her on all flanks. She is convinced her health is suffering. “It feels like I have a head-cold coming the whole time. It’s like motion sickness that never goes away. Some days it’s worse than others. I am a very energetic person and by mid-afternoon all I want to do is sleep,” she said. Ms Godfrey is devastated that the value of her property—now, as she describes, in the eye of an industrial estate—would have dropped through the floor. “We have no quality of life and who would want to buy our house now? What was to be our superannuation has now gone,” she said, sobbing. “It’s split the community into the haves and the have-nots. You try to raise your concerns and all you hear is, ‘You’re just jealous you don’t have them,'” Ms Reid said.